All digital recording and playback devices require a word clock which determines when a sample is recorded or replayed. For example, Red Book recordings are sampled with 16-bits of resolution 44,100 times a second per channel. 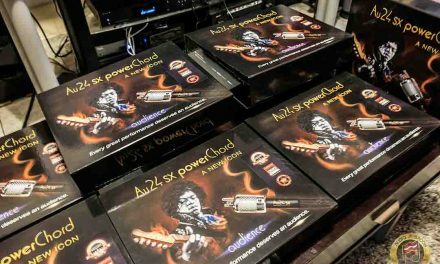 With high-res recordings at PCM 192kHz/24-bit, DXD, and Quad DSD – we have an insane sampling rate of bits. Now, you could imagine how important a master clock would be for use in the recording studio, especially in regards to the analog-to-digital process. 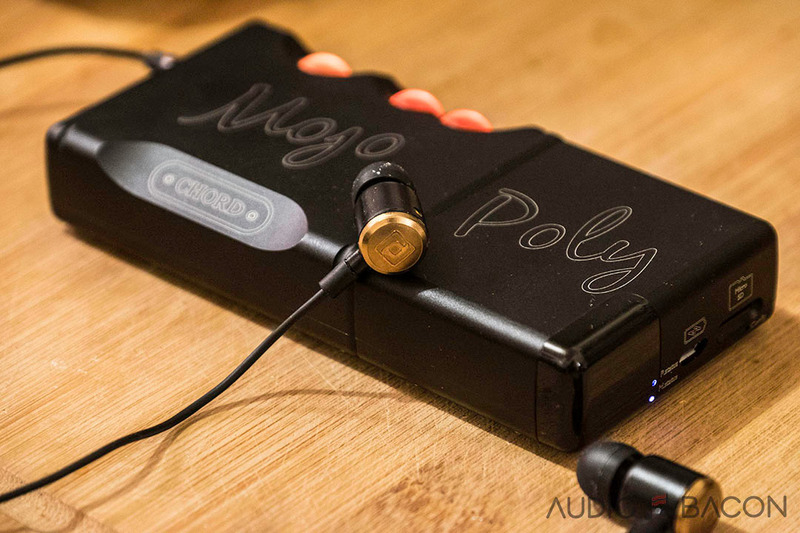 Audiophiles are primarily concerned with playback. So when the sample is played back just a little too early or late, our ears are able to hear the differences. It only takes a 0.1-millisecond delay between the left and right channels to ruin stereo imaging – timing is crucial. This is timing error is called jitter (or phase noise) which is undoubtedly audible and pervasive in many audio systems. It’s one of the reasons why some avoid digital audio completely. Our laptops, servers, routers, switches, and our assortment of USB devices all have word clocks. Even if these clocks were of high quality, ideally we would want them all to be synchronized – especially at the DAC. When the stream isn’t synced, it comes off as “digital blur” which actually sounds…blurry. 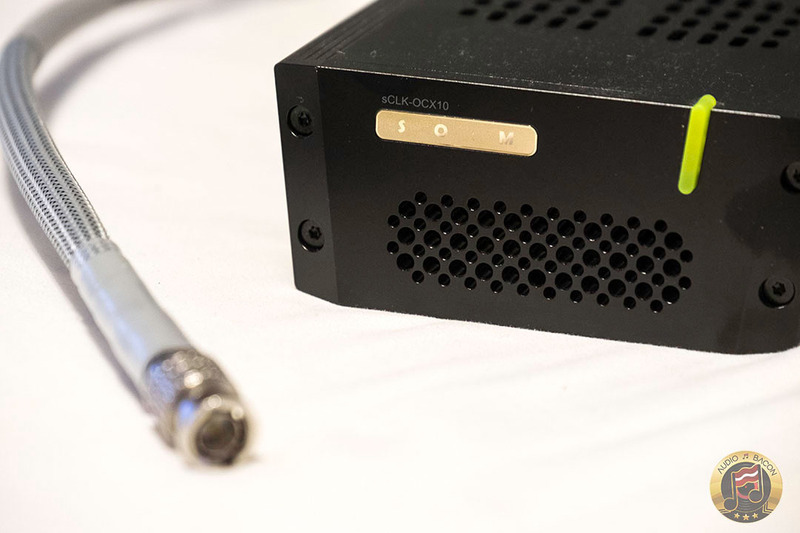 Many high-end audio systems have components with a built-in word/master clock input connector – typically BNC. This enables synchronization of all digital components from a master clock. This clock will override the internal clocks of the components and ensures a more accurate reproduction of the recording. SOtM is one company that gives the customer the option to have a master clock input installed in many of their products. They are also the makers of one of the best super clocks in the world. They went a step further and recently released their first master clock: SOtM sCLK-OCX10 ($3,500). 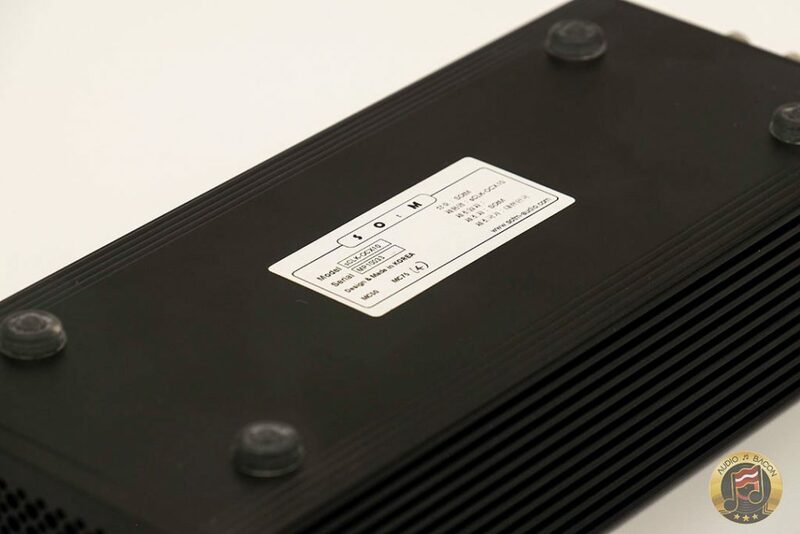 sMS-1000SQ, sMS-200ultra and tX-USBultra can be used with the sCLK-OCX10. As many of the audiophiles know, the clock signal is an angled square digital signal, but the sCLK-OCX10 produces a pure analog sine wave of 10 MHz, and this sinusoidal clock signal is the method adopted for the best clock product because of the very less noise than the angled square digital clock signal. In order to implement this, the sCLK-OCX10 consists of only analog circuit which contains 10 years of know-how of SOtM. It derives high analog sound that is different from other master clock on the market which output angled square digital clock signal. For more information, please check out their product page. I encountered some inconsistencies in my notes and realized I had to reboot the sCLK-OCX10 every time I connected and reconnected the BNC cable to the SOtM tX-USBultra. Rebooting the tX-USBultra wasn’t enough – I had to unplug the power from the OCX10 first, replug, then connect the power to the tX. Not a big deal for common folks, but something to keep in mind if you’re trying different cables or moving things around. The only device I had on hand with a master clock input was the tX-USBultra. I’m hoping to have their new switch in soon. A quality power supply is crucial for the SOtM sCLK-OCX10 to perform its best. 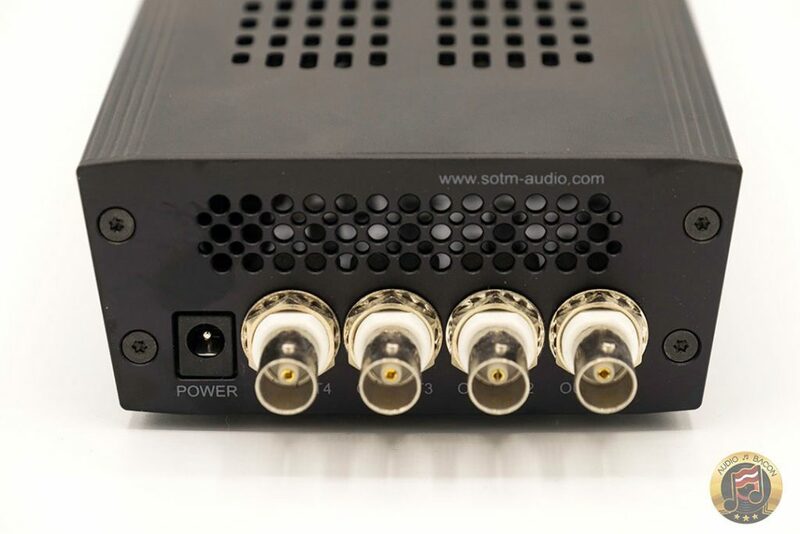 Unlike the similarly priced Mutec REF 10, the SOtM sCLK-OCX10 does not have a built-in power supply. 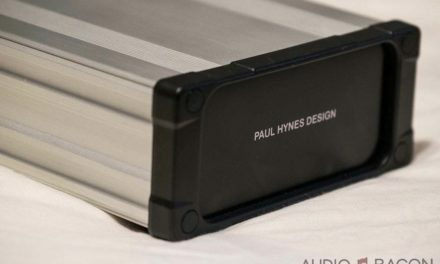 Although the SOtM sPS-500 sounded great, I used a Paul Hynes SR4 for the majority of my review. As far as DC cables, they do make a big difference in fidelity – primarily in tone and smoothness. 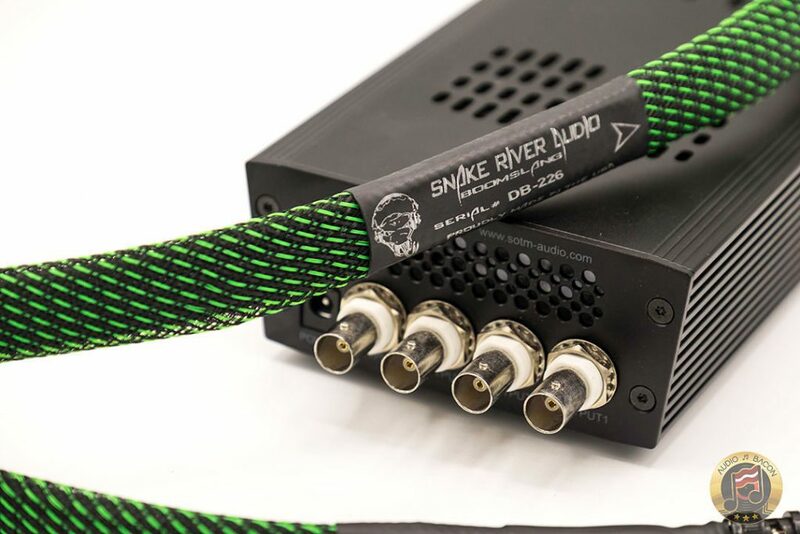 I don’t have an assortment of DC cables for testing, but from my survey of a few recommended pieces – I’ve stuck to using Zenwave Audio’s 7N copper DC cable. My enormous review of BNC cables was also based on my impressions of those cables on the SOtM sCLK-OCX10 (and REF 10). Interestingly enough, the same traits carried over for use as a clock cable. For the sake of my wallet, I was hoping the clock cable wouldn’t affect the signal much. Unfortunately, it seems more important than the DC power cable connected to the SOtM sCLK-OCX10. The BNC cable changes the tonality and resolution of your system quite dramatically. Annoying? Yes. But that’s just the nature of the beast. Anyway, please check out my extensive BNC cable review for a cable that works for you. I’ll be updating that post with more cables soon. I tried grounding the SOtM sCLK-OCX10 with a Synergistic Research HD ground BNC cable connected to the passive ground block. With it grounded, there’s less clarity and vibrancy but more body and smoothness. It’s less, for the lack of better words, bright and focused. 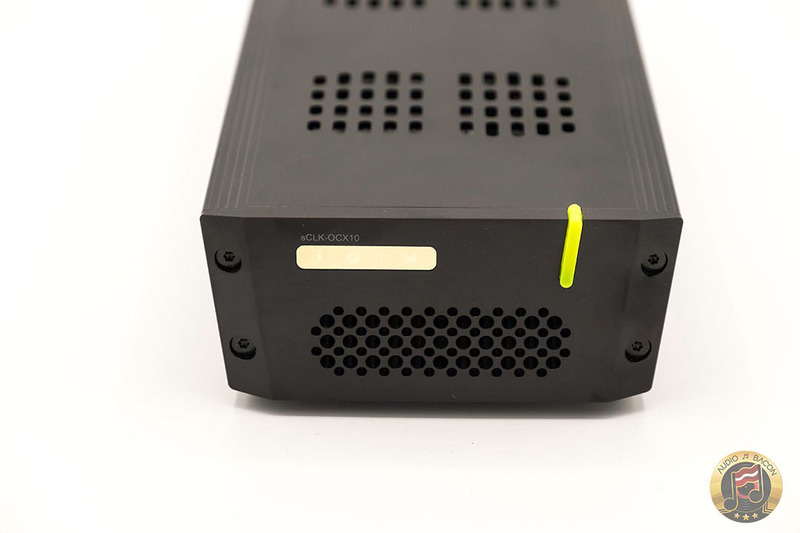 For harsher recordings, I preferred to have the OCX10 grounded – but the loss in clarity is noticeable. YMMV. Thanks for this review! 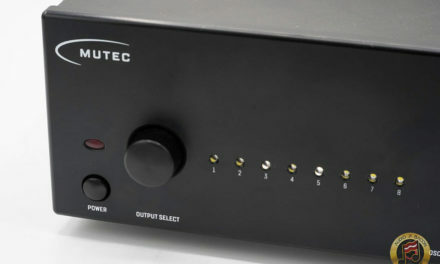 Would you be able to compare it to the Mutec REF10? I purchased recently a denafrips terminator DAC and want to give a vintage Linn CD 12 a second life as transport only. CD 12 has a sync input for normally synchronize with an external DAC but terminator does not have a clock output. Would the use of a 10Mhz clock with cd12 bring still an improvment?